The chopped it up about the making of the album and how a trip to Amsterdam in the summer of 2013 played a major role in its conception. 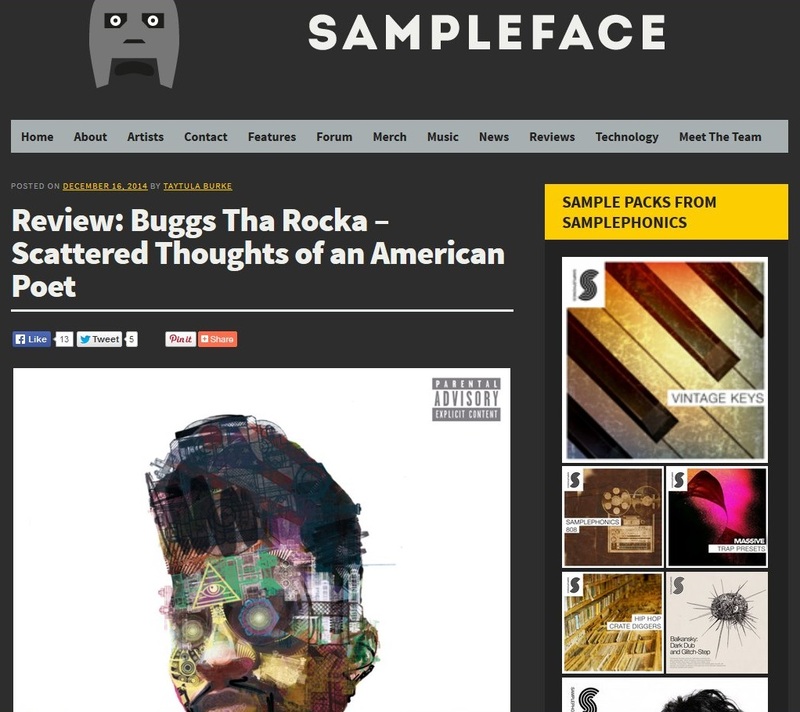 He speaks on the comparisons made to the current release with previous mixtapes, including 2009’s “Hip Hop Supa Hero” with DJ Mick Boogie, and the concept behind “Scattered Thoughts….” allied to a series of video launches and the visual representation. 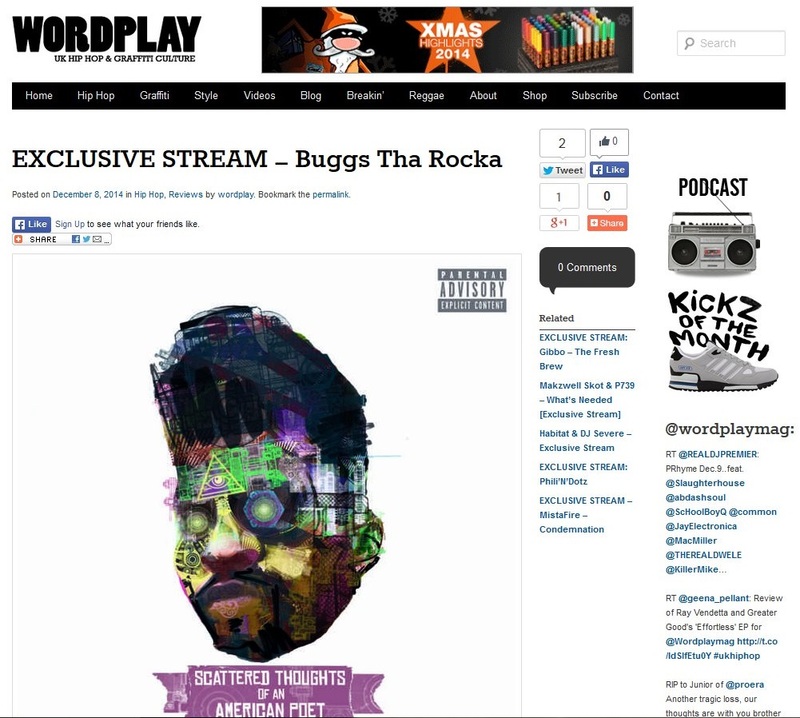 Subjects such as the eclectic range of influences prevelant in the album, the expectations of a live “Buggs tha Rocka Show” and plans for the future are also discussed before he gives his thoughts on the choice between remaining independent and signing to a major, and the repercussions of such a move. 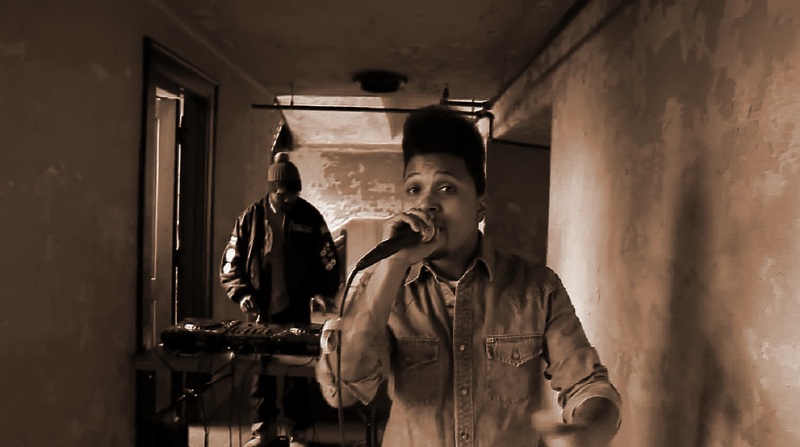 They then delve into his come up in the Cincinnati scene, his link up with other local artists Donte from MOOD and Hi Tek, and ultimately his working with Talib Kweli. 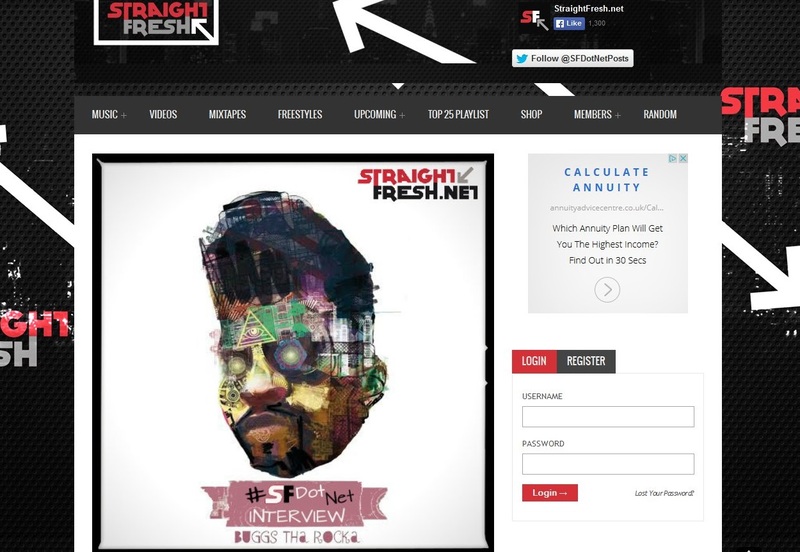 Appropriately, Straight Fresh then premiere the “Resurrection of Hip Hop II” video. 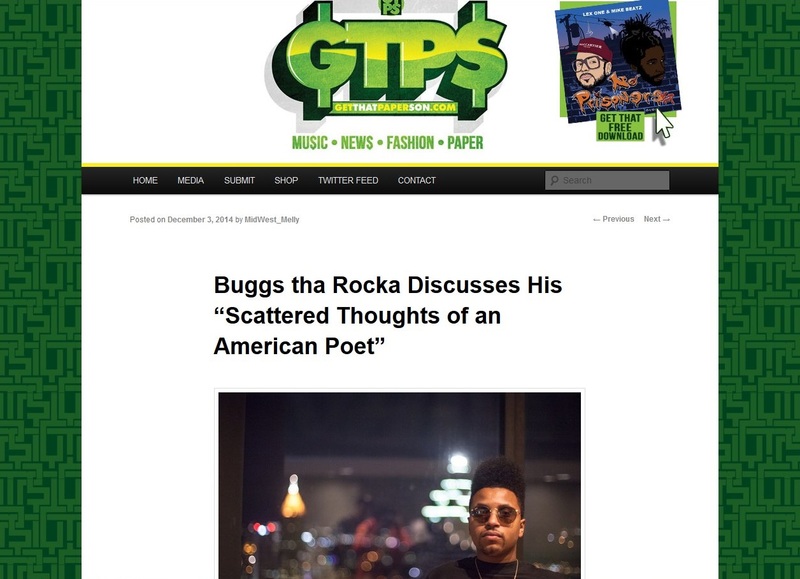 Filmed at the Rhinegeist Brewery in Cincinnati on 30th October 2014, the event was a celebration of local hip hop talent and includes exclusive footage of Buggs tha Rocka and the reunited Reflection Eternal (Talib Kweli & Hi Tek) performing live. 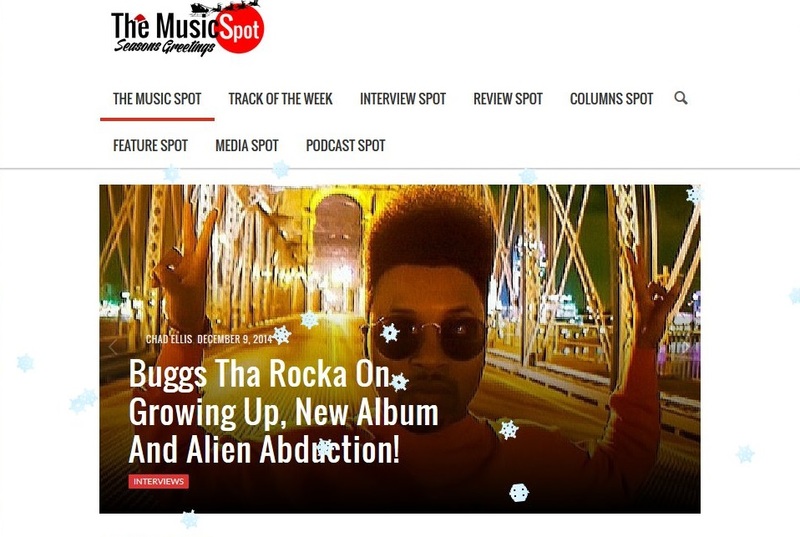 Follow Buggs in twitter @BuggsThaRocka and look out for more international press & media coverage in the weeks ahead with more official music video releases taken from the album to follow soon. 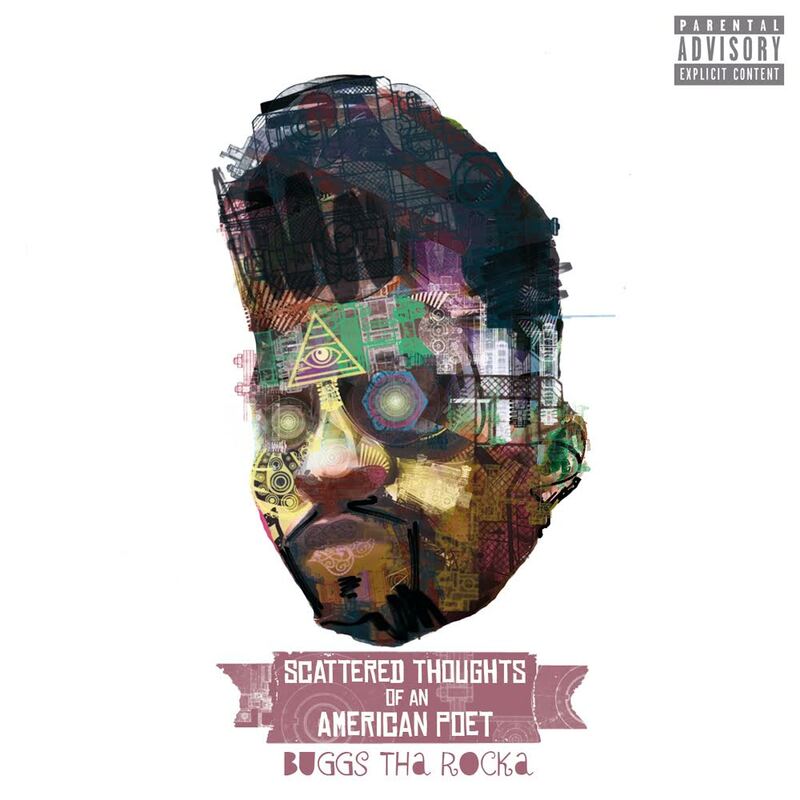 Cincinnati MC Buggs tha Rocka release his new album “Scattered thoughts of an American Poet” on 10th December 2014, available as a free download from his BANDCAMP and also via the MyMixtapez App for mobile devices. 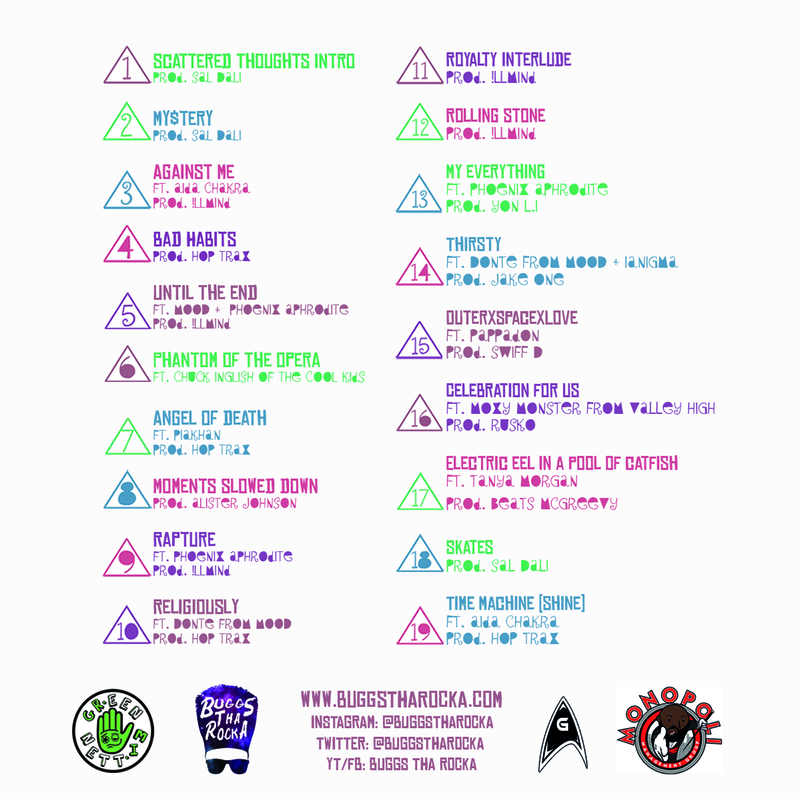 Look out for further international press coverage on this release in the weeks ahead, and meantime connect with Buggs on twitter @BuggsThaRocka and check out the full album stream released onto Vimeo recently. 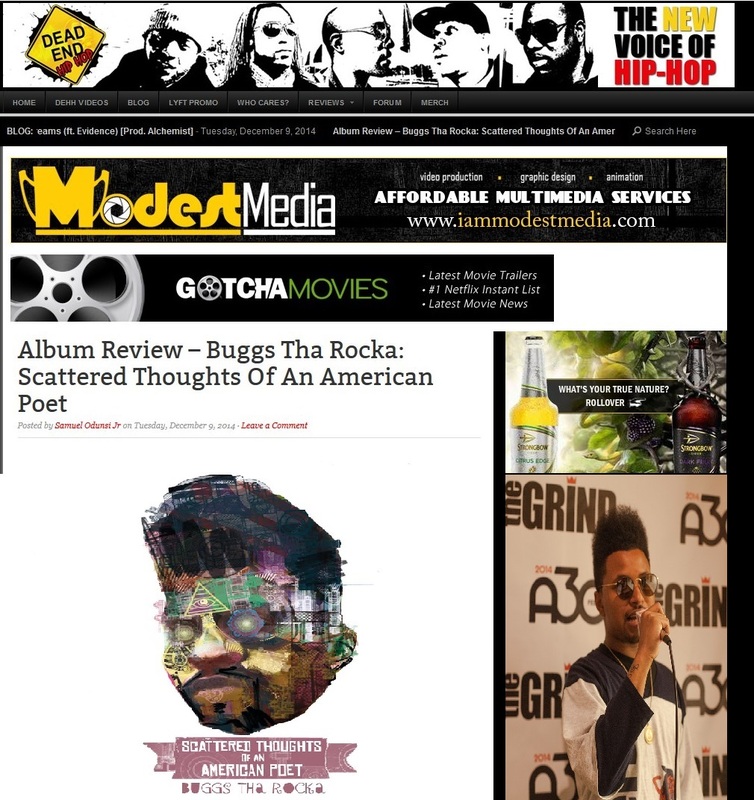 In this review, written by Samuel Odunsi Jr, the eclectic mix of hip hop, r&b, soul and jazz present throughout the album is highlighted and commended. 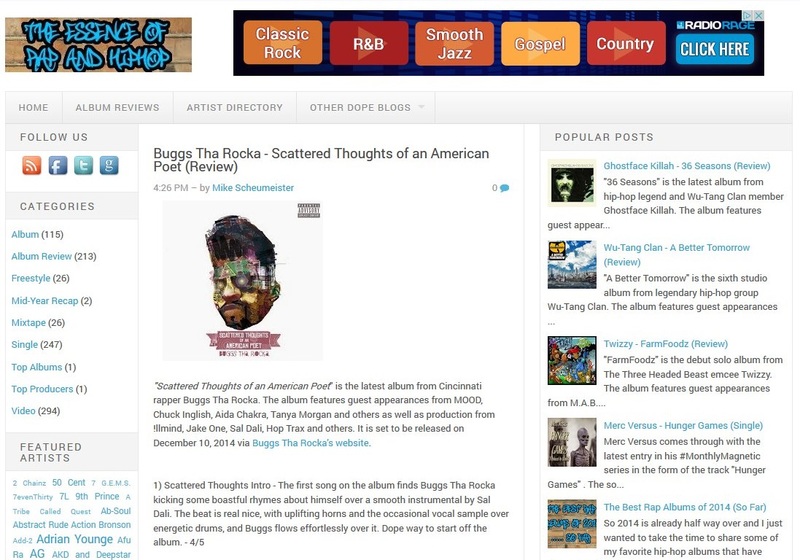 The album is a mix of Buggs’ own scattered thoughts about a variety of issues, and the production reflects the mood and his own diverse influences and tastes. A year in the making, it was put together as a meeting of like minds, organically, and mixes the range of production styles from Illmind, Jake One, Kill Wil, Sal Dali and Hop Trax with the variance in delivery techniques by Tanya Morgan, Chuck Inglish, MOOD, Piakhan and includes soulful vocals from Aida Chakra, Phoenix Aphrodite and Pappadon. 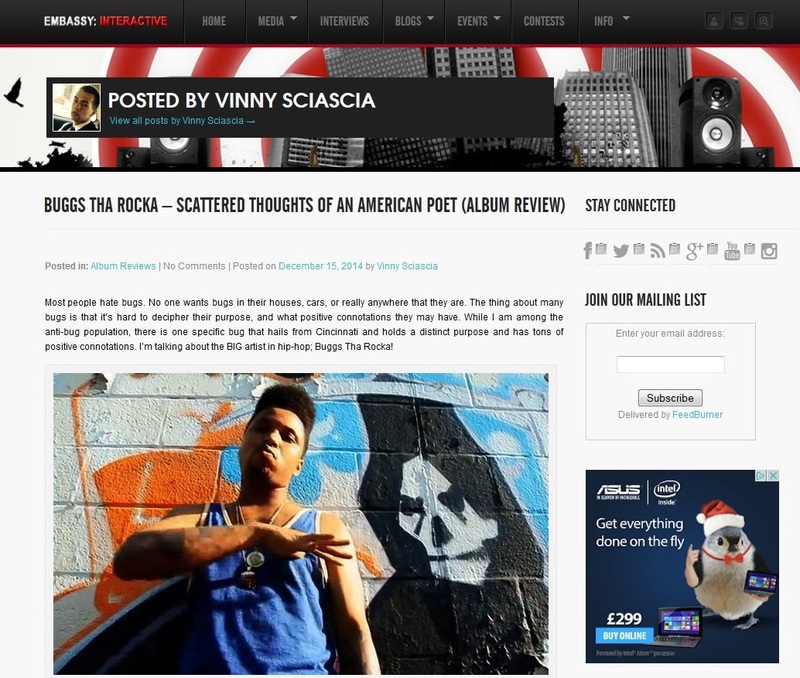 Buggs tha Rocka ft Piakhan – Angel of Death (Concept Video) from Buggs Tha Rocka on Vimeo. 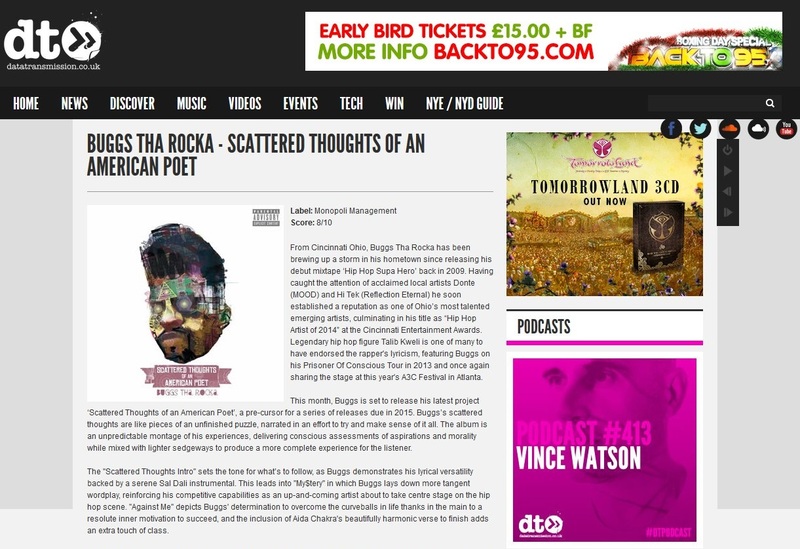 The 19 track album Scattered Thoughts of an American Poet includes guest features by Tanya Morgan, Chuck Inglish, MOOD, Phoenix Aphrodite & Piakhan, and will be available as a free download exclusively from Buggs’ own site www.buggstharocka.com from Wednesday 10th December 2014.